25 years after drug trials at Whipps Cross Hospital, patients were invited back to celebrate with doctors. Dr Tahir was amongst team involved. Read the full article. Dr Tahir was recently featured in the Spring 2016 Barts Newsletter. More details available here. Dr Tahir is featured in a Yellow Advertiser article. 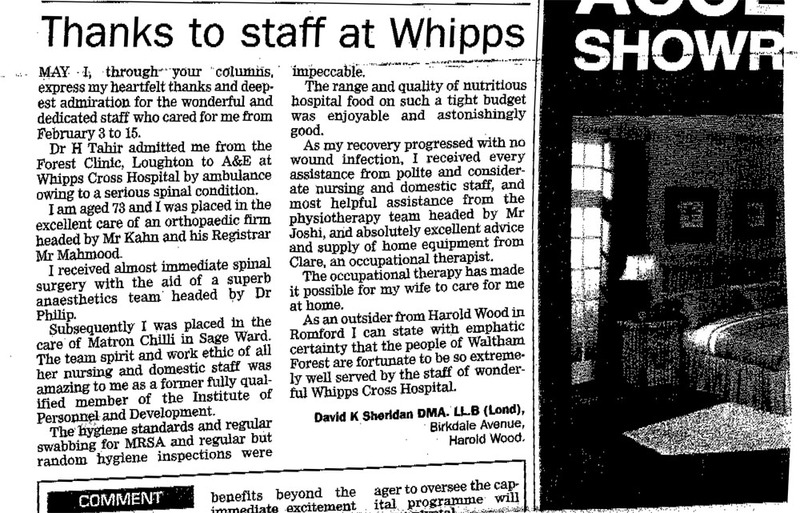 The article explains the work being done on back pain at Whipps Cross hospital. Full details can be found here: http://www.yellowad.co.uk/news.cfm?id=25207&y=2010&searchword=BACK%20PAIN. Recently, he was mentioned in an article featured in the Guardian where a patient thanks Dr Tahir and the rest of the Whipps Cross Hospital staff. You can read it here. Dr Tahir is a television presenter of a live health show which is aired every Sunday afternoon on Sky 813. He appears on the show every 6 weeks.